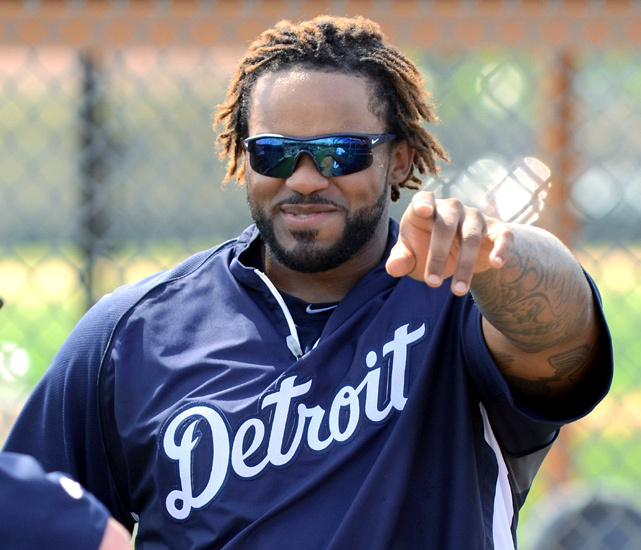 Prince Fielder moving to Detroit Tigers was supposed to make the line-up more explosive than last season – but has it? McGILLIGAN: Losing perhaps one of the greatest hitters of all time should have spelled disaster for the St. Louis Cardinals offense. With Albert Pujols career averages of .325, 42 homeruns and 125 RBI, the run totals for the Cardinals should have dipped. The same could be said for the Milwaukee Brewers who lost the power bat of Prince Fielder and his perennial .284, 37 homeruns and 106 RBI. Instead, it’s the big spending teams who brought in Pujols and Fielder – the Los Angeles Angels of Anaheim and the Detroit Tigers, respectively – that are seeing big drops in offence. In the three seasons preceding Pujols arrival, the Angels averaged 743 runs per year. This season, Los Angeles is on pace to score about 645, a projected drop of 98 runs compared to the previous three years. The numbers are grim in Detroit as well. The Tigers mashed the ball from 2009-11, averaging 760 runs during that time span. With Fielder in 2012, the team is on pace to score about 699 runs, a potential drop of 60 runs. Conversely, their former teams aren’t feeling the hurt offensively as many predicted. In fact, the St. Louis Cardinals are on pace to score 828 runs this season, a potential climb of 86 runs compared to the preceding three season with Pujols in the lineup. The Brewers offense is on pace to dip in Fielder’s absence by about 47 runs, but still projected to exceed the Tigers output. In the Angels-Cardinals divide, the main difference (team wise) can be chalked up to its offense efficiency rating which we wrote about in this post about the Tampa Bay Rays (http://outofwritefield.com/2012/04/18/rays-sixth-in-runs-scored-last-two-seasons-it-cant-be-true-well-it-is/). The rating essentially is the percentage of a team’s hits that go for extra bases, which are more likely to produce runs by either driving others in or by getting into scoring position. The Cardinals averaged an efficiency rating of 32.4 from 2009-11, but have increased that number to 33.4 this season in Pujols absence. A one per cent increase is significant in this stat given the divide between the lowest rated team this season and the highest is about 11 percentage points (Boston Red Sox – 40.7 and Houston Astros 29.6). The Angels rating has plummeted with the addition of Pujols going from an average of 33 from 2009-11 to a dismal 29.6 this season, tied for last in MLB with the aforementioned Astros. As for the other two teams, Milwaukee has the second highest rating in MLB in 2012 at 38.3 which hasn’t offset Fielder’s production, but has minimized his loss. Detroit’s average has gained 0.8 of a percent, which doesn’t explain the predicted drop in run production until you dig a bit further. The Tigers are on pace to have its lowest total of hits since 2009. While the efficiency is roughly the same, the number of extra base hits is lower resulting in fewer runs scored. With one-third of the season done, the Angels and Tigers still have a chance to turn things around, but the early trends are cause for concern. NOTE: All stats current as 12 p.m. (EST) June 5, 2012.